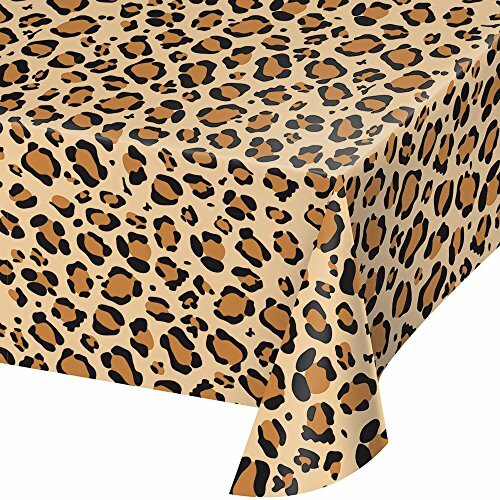 Leopard Print Table cover. 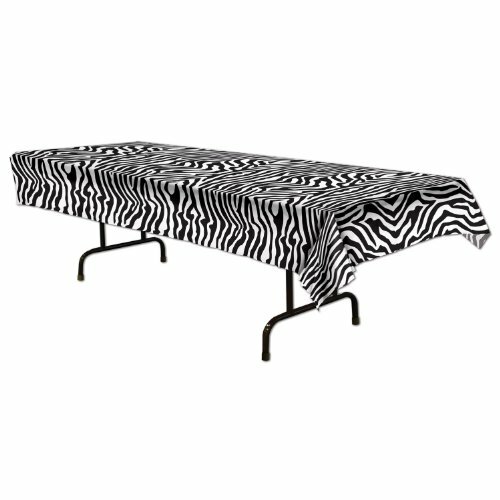 This pretty table cover is made of plastic and measures 54 Inch long by 108 Inch wide. 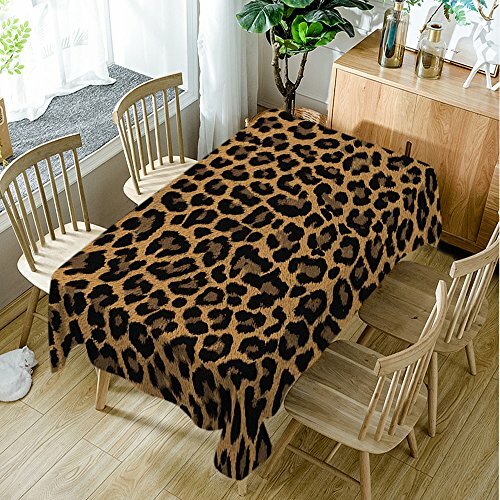 It fits a rectangular table cover. 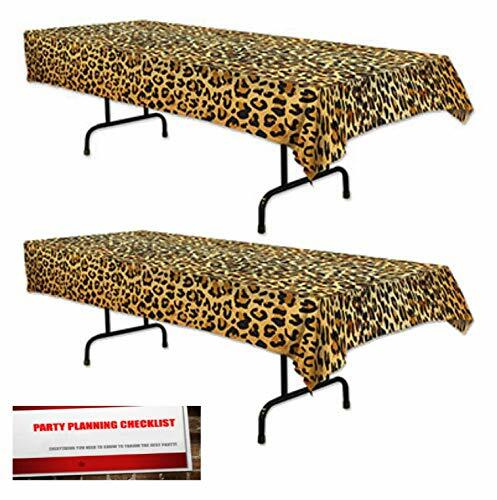 Use the leopard print table covers to decorate for a jungle themed party. 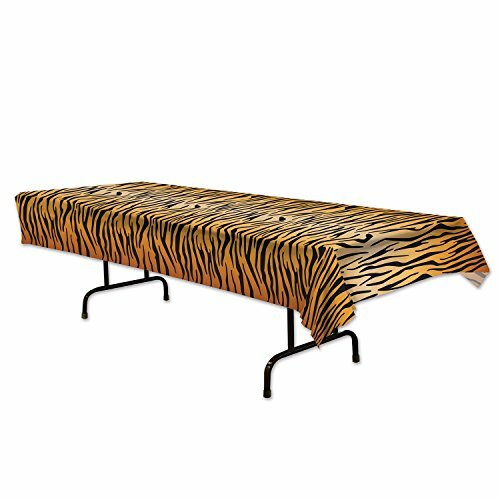 Beistle 54063 tiger print Table cover. 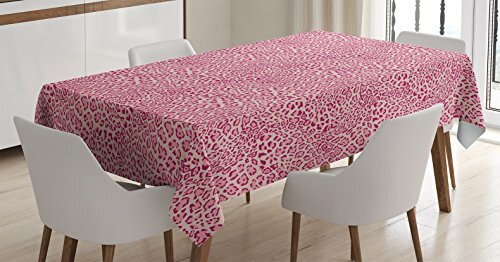 This plastic table cover is printed with a tiger print pattern. 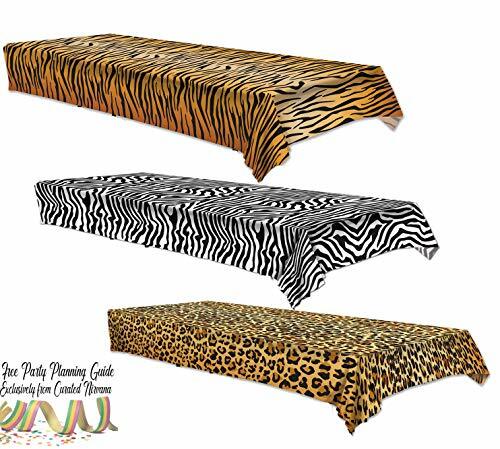 It measures 54 Inch long by 108 Inch wide. 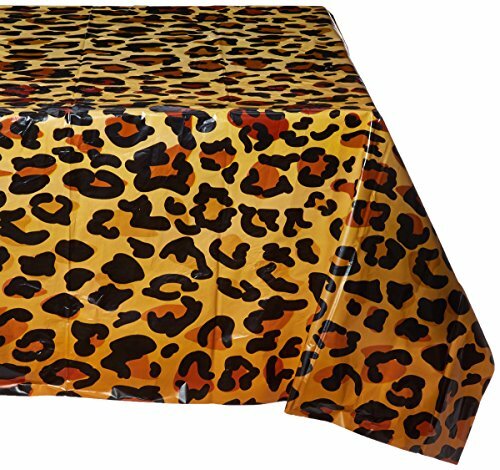 Use this cute table cover at a jungle themed party or birthday party.